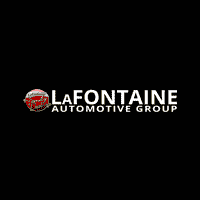 The LaFontaine Automotive group is dedicated to protecting the environment and promoting the green movement. Our organization has Developed four LEED (Leadership in Energy and Environmental Design) Certified Dealerships throughout the Metro Detroit Area. The LEED Certification is one of the most recognizable environmental achievements an organization can earn. This means our buildings are constructed using the most environmentally friendly materials and engineering designs. Learn more about our Green Movement and LEED Certified Dealerships. This article discusses some of the challenges and obstacles of building a LEED Certified Dealership. However, even with the huge upfront costs of construction, the savings in the long-term for the environment and the dealership paid off. The Green Lesson Plan is the newest initiative by the LaFontaine Automotive Group. Our objective is to partner with other organizations and educate them on how to incorporate innovative environmental practices. Our main goal is to have an environmentally sustainable community for the years to come. LEED Stands for Leadership in Energy and Environmental Design. This means that our LEED certified dealerships were built using innovative engineering designs and materials that are environmentally safe. Thinking about going green? View our hybrid and electric vehicles!